Gail Caldwell is a Pulitzer Prize-winning book critic for The Boston Globe. Her book A Strong West Wind is a "metaphor-rich, beautifully structured reminiscence" of a child growing up in the turbulent 1960s (Booklist, starred review). 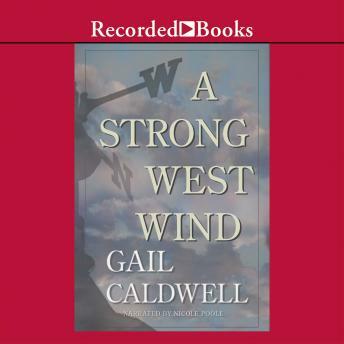 Caldwell was born in Texas in 1951; in a land of plains so vast they frightened her. Caldwell's mother was a clandestine lover of books; her father was a master sergeant in World War II. These personalities shaped Caldwell; during the passionate rebellions of the 1960s, she was one of the "children who once made life hell for 'the Greatest Generation' and in the process turned out pretty great themselves" (Russell Baker, author). Turning to books for each poignant change in her life, Caldwell eventually became what her mother could not: a writer. Throughout these changes, Caldwell is driven by the restless desire she once felt as a child in a small town in Texas.